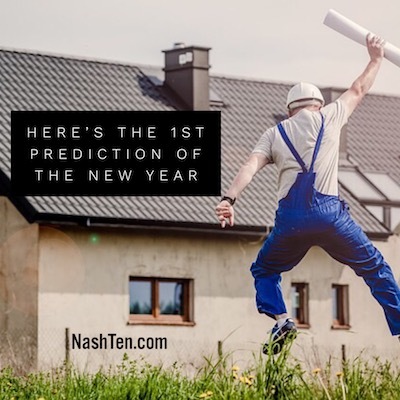 If there is one thing that you can count on in any new year, it is an onslaught of predictions. Everyone wants to know what’s going to happen as the world turns, and the media capitalizes on this desire. Soon you’ll find stories forecasting the upcoming winter, your favorite sports team, the mid-term elections, the economy and the real estate market. But many predictions are based on “feelings” and those are the least likely to come to fruition. So reader beware when you see the words “I think” and no data to back it up. Instead of focusing on my “feelz”, I tend to look for trends instead. Movements in a market that are just starting to pick up steam. And then I look to see if the conditions are ripe for that trend to continue. That’s what I prefer to hang my hat on. Like in 2005, when Gretchen, my wife, asked me to join her in the real estate business. At that time, I didn’t see myself as the traditional real estate broker, so I looked at another segment of the business. REO. Or more commonly known as foreclosures. At that time, you could have less than stellar credit, buy a home and get lots of cash back with no proof of a job or any income. The mortgage industry called them “stated income” loans because you signed a paper stating your income. I saw that the default rate was climbing at the same time they were handing out loans like candy at a country parade. This trend convinced me to start a real estate business in 2005 focusing on foreclosures and the rest is history. Every year since then, I’ve looked at the trends to determine what is the Next Big Thing in the business and made adjustments. Back in 2013, as the REO business started to wane and the market was improving at a rapid rate, I started transitioning back to traditional real estate. While I still sell REO properties every year, that market will be down in Nashville until the next recession. To much equity and demand in this area for most homes to make it to REO status. Here’s what I’ve been looking at lately. It’s something Edsel Charles said recently. He is the founder of a local company called MarketGraphics Research Group. They study markets across the United States for home builders. While Edsel might not be the best at predicting the overall economy, he does know the real estate market in Nashville. This is what he said earlier in the year about the long-term outlook in Metro Nashville. There is not enough land in the right locations for builders…Resales will continue to be strong in the most desirable locations. 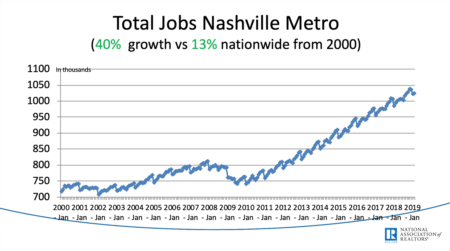 And that makes sense considering the transit challenges Nashville faces and the steady job and population growth. Investors who are looking for long-term appreciation should make location the top priority in every purchase. It’s the most important factor for the future value of your home. I understand not everyone has the same goal. 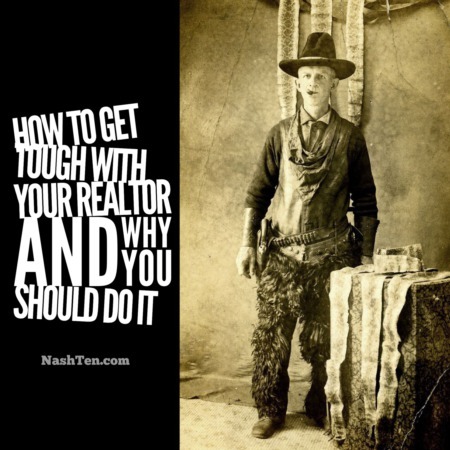 Hit reply and tell me your top investment priority and I’ll be happy to share my knowledge of the Nashville market with you. The Daily Deal in Nashville is this cottage on 0.25 Acres in Inglewood [East Nashville] that could be a rental today and a build in the future. It’s listed for less than $260,000.